Last week we talked about getting started. This week I want to focus on training. My routine can change from week to week but typically I’d run an easy 10 miles on Mondays, followed by intervals on Tuesday and a semi-long 15-20 mile run on Wednesday. On Thursday it’s another easy 10 miles. Friday is my tempo day where I try to maintain 5-minute pace for 16 miles or so. Saturday is another easy 10 mile day and finally Sunday is my long run up to marathon distance. On the easy days, I do have a second run in the afternoon, ranging anywhere from 4-6 miles. The speed of the second run is not as important, I usually just listen to my body and see how I feel and decided if that afternoon run is necessary or not. The key is to stay healthy and train consistently. I use altitude to my advantage and of course a very extensive stretching program plus weights are part of my routine. My plan may not be right for you. There are many marathon training regiments out there, including customized training plans from runcoach.com. Find one that fits with your fitness and ability and expect realistic results. If you’re a couch potato at the start, you’ll probably need more than ten weeks to be in marathon shape. But that’s OK. You will get there and you’ll feel amazing when you cross that finish line. Before you get back to training, don’t forget to check out the this month’s contest for another chance to gear up like me! 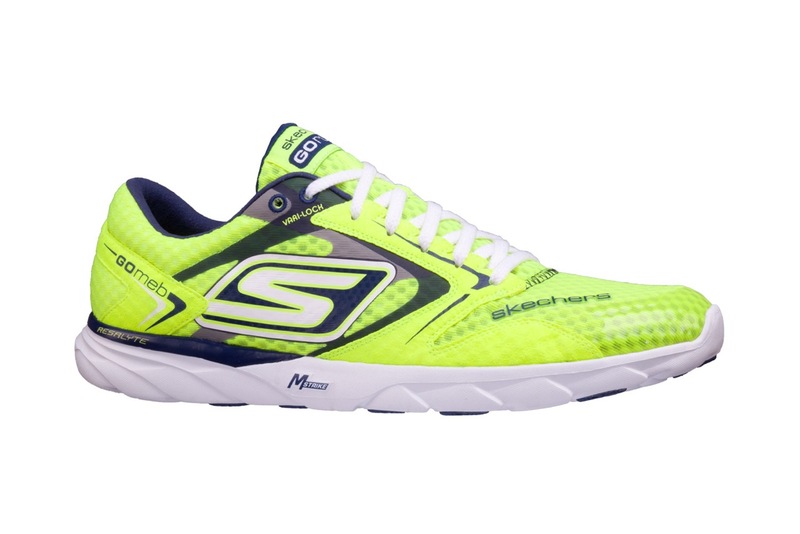 SKECHERS GoRun Speed new color!